The Retro Classic keyboards feature a genuine top plate along with elements of wood and leather that give its luxurious look and feel. 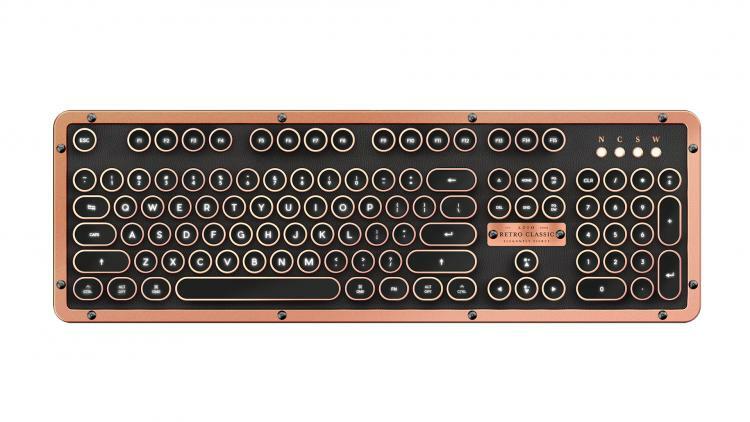 It is a new taste of craftsmanship unlike any other gaming keyboard today. 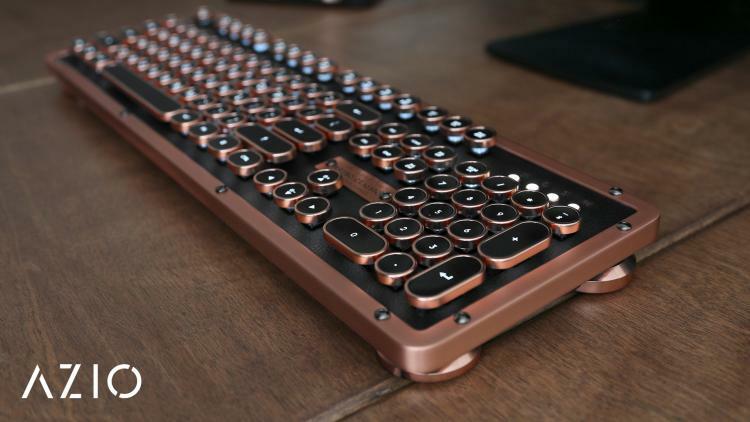 The AZIO Retro Classic keyboards use a sturdy and forged zinc aluminium alloy along with the leather top plate. The metallic elements are all polished and plated to bring out the classic vintage styling. To give it a sense of exclusivity and elegance, it comes with an intricately designed logo plaque using a premium-grade brushed anodized aluminium plate. The plaque holds the embossed product name finished with glossy lacquer paint to shine. 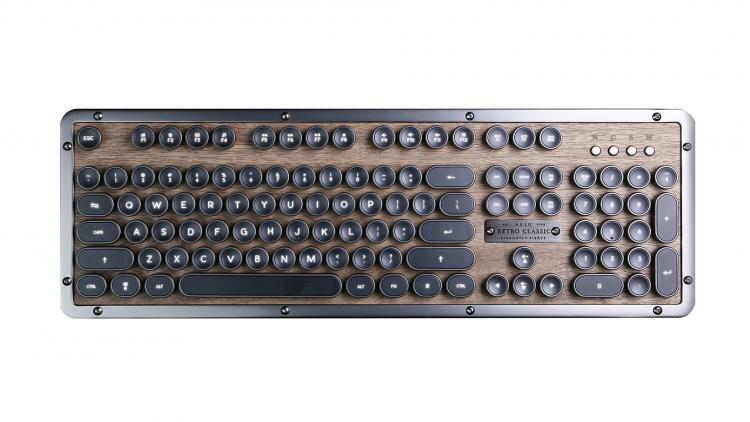 The Retro Classic also sports mechanical keys with a satisfying tactile feedback to give it the vintage typewriter feel. 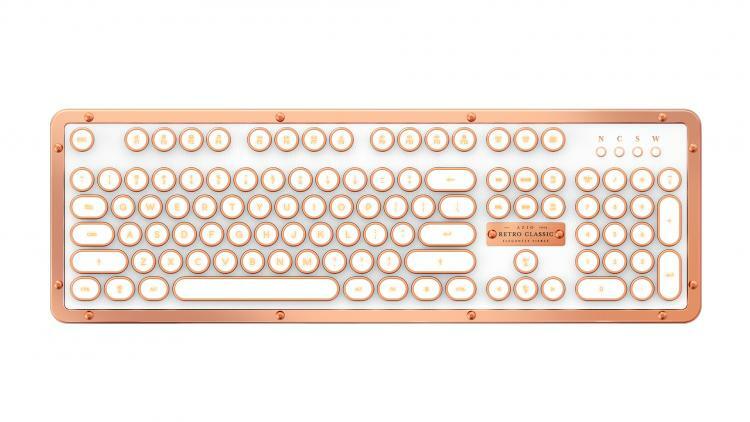 It also comes with backlighting with per-key LED illumination. 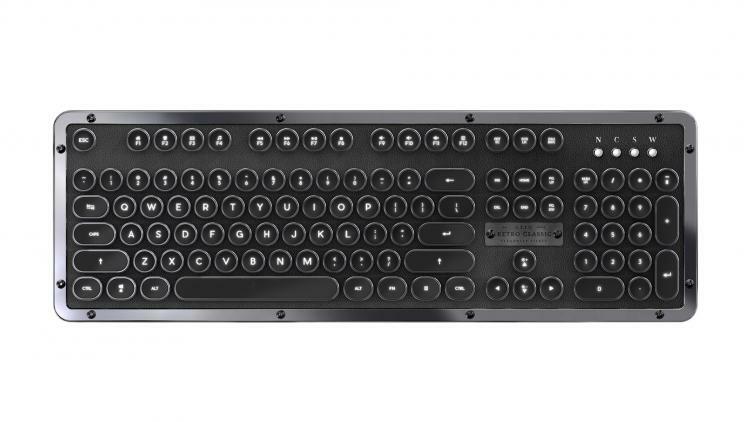 The AZIO Retro Classic keyboard USB models have an MSRP of $189.99, Bluetooth models get an MSRP of $219.99. Available at the AZIO webstore and partner resellers worldwide.